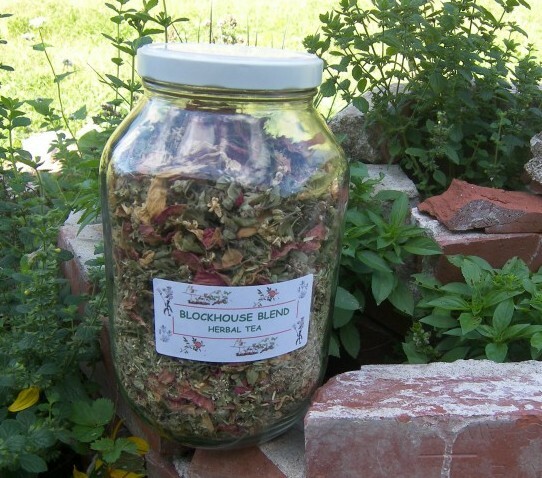 Our local Clinical Herbalist, Jeanette Poirier, has created a unique herbal tea blend to help us celebrate and connect with the Blockhouse School Project in a deeper way. Yarrow (Achillea) – contains a bitter element that we need to assimilate/digest/absorb our nutrition. There is much we will need to assimilate as we move on this journey. 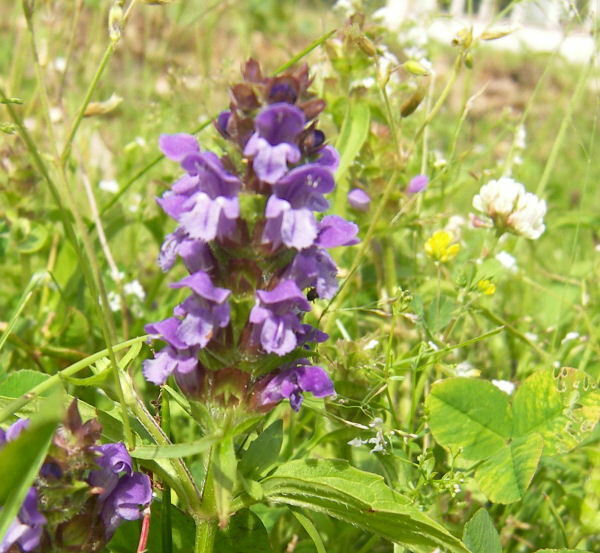 It was considered a ‘warrior’ herb, used for healing soldiers’ wounds. We at SSSV are the new warriors for a green future. The above two herbs are already found on Blockhouse School land. Prunella can be found all over the world – it is a global traveller! Hawthorne (Crataegus) – For the heart. Nothing can succeed or function without heart. Hawthorne is a new spirit being brought to the Blockhouse School land. Rose petals – Passion. Enough said? There are some rose bushes on the land, and we are bringing in more, just like the passion we are bringing for this dream. Oats (Avena) – To strengthen the mind and intellect. Passion and spirit must be balanced by good thinking. 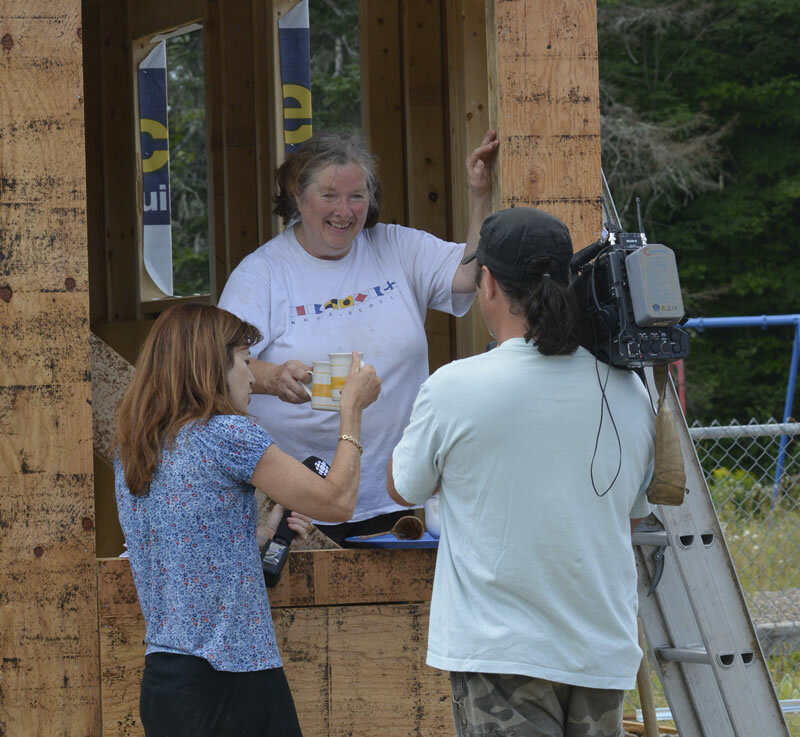 Meredith serves a cup of our Blockhouse Spirit Tea to CBC TV’s Colleen Jones from the window of the Tiny Studio under construction, Aug. 16, 2013. Licorice (Glycyrrhiza) – Sweet, warm, exotic and energizing. Because we also need fun, joy, pleasantness, and energy to be successful and happy. Licorice is an exotic herb growing far from here. It will open us to the “outside” elements that can enrich our lives in unexpected ways.